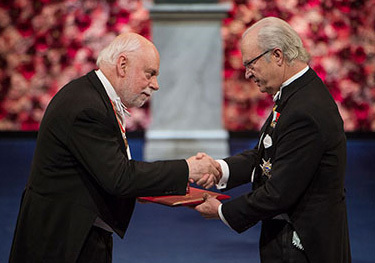 The center’s co-director, Professor Sir James Fraser Stoddart, was also awarded the Nobel Prize in Chemistry in 2016 for his great contribution to the development of molecular machines, for example by developing a "rotaxane" in 1991. A ring-shaped molecule was threaded over another molecule that functions like an axle. In the future, molecular machines could be used in new materials, sensors, and energy storage systems.